This is my fifth book review for the Women of Genre Fiction Reading Challenge at Worlds Without End. Somehow, those stories all seem to be about how there’s always a cost. The technology goes wrong. The super-soldiers who can never sleep again are driven insane. Beggars in Spain is the first story I can remember about it not only working, but turning out better than anyone dreamed. The Sleepless are so much better than the rest of humanity as to be like a separate species. Which, of course, is the problem. The rest of humanity, the Sleepers, don’t deal well with being inferior. I love the way the conflict begins so intimately, with two sisters: Leisha, Sleepless, and Alice, Sleeper. Their mother wanted an ordinary daughter; their father wanted an extraordinary one. The conflict that grows between the sisters mirrors society at large, and as Leisha grows into her role as a lawyer we see all the little injustices: her teenage friend barred from competing in the Olympics, her own college dorm room trashed. The escalation: Sleeper parents abusing the Sleepless children they had thought they wanted, but found they didn’t understand; a Sleepless friend killed in prison; boycotts against Sleepless-made products and services; the Sleepless withdrawing into Sanctuary, and finally leaving the planet. All the well thought-out ramifications were fascinating to me, and somehow logically leading to a future dystopian America where 80% of the population lives on the dole and does nothing, the other 20% do all the work and keep the economy going, and their taxes pay for everything. It takes care of the hatred from the normals, sure, but I must have a bit of Sleepless in me, because I can’t imagine being content to just not do anything. It feels so un-American—after all, don’t we pride ourselves on being a self-made people, where anyone can bring themselves up out of poverty if they just work hard? But that’s me looking back at our roots through rose-colored glasses. When I manage to set those aside, this dystopia is disturbingly like looking through a window to our future. We’ve become a culture that worships Free Stuff. If we somehow found a way to wrest the money from the richest 1% to keep the rest in Big Macs and iPads, 80% of the country probably would applaud the system and never go to work again. I don’t know, maybe that’s too cynical of me. But then again, what is science fiction for but to take all the little flaws of our now, and follow them to the bitter end, revealing perhaps a worst possible future if we continue down the path we’ve started. On the other end of the spectrum, the Sleepless value individual effort and achievement above all else. It’s a value I can understand, even mostly agree with, but in the end the characters most dedicated to that belief end up committing the most horrifying acts. It’s the above all else that makes the difference. I think the moral must be that any one value cannot stand as the sole pillar of civilization—the same way that any viewpoint, isolated and left unopposed as in Sanctuary, will only become more extreme. This is my fourth book review for the Women of Genre Fiction Reading Challenge at Worlds Without End, just squeaking in at the end of April. I’m not a big reader of short fiction—I guess my sense of appreciation isn’t calibrated for the usual hit rate of a good anthology—but this collection by Tansy Rayner Roberts was wonderful. 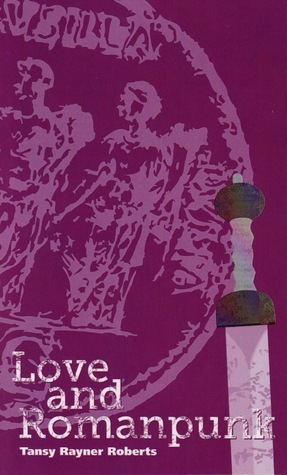 Love and Romanpunk begins with “Julia Agrippina’s Secret Family Bestiary,” in which, Julia says, “I have arranged the secrets of my family in alphabetical order, beast by beast.” These family tales, told in Julia’s wonderfully dry voice, weave together into a fantastical and very unexpected version of Roman history where the monsters not only plagued Julia’s family, they were her family. The second story, “Lamia Victoriana,” was probably my least favorite of the collection, though still quite good. I think I’d have enjoyed it more if I was better versed in the classics. The story is narrated by Fanny Wollstonecraft, as she and her sister Mary run away with an unnamed poet and his sister. They are, of course, the titular lamia, seductive vampires in the old Victorian sense, and a lovely, spine-chilling change from the modern kind. There’s an unexpected tie to Rome at the end, which I didn’t entirely understand at the time, but which sets things up nicely for the last two stories. “The Patrician” was my favorite. Set in modern-day Nova Ostia, a fictional replica Roman city in Australia, made with real stone from Ostia and Herculaneum. That part’s important, because the stone attracts the beasts of Rome, giving the residents more than their fair share of monsters. Sixteen-year-old Clea meets a stranger shortly before the Temple of Vesta burns down, killing two. It was the stranger, of course, a man named Julius, and the dead women lamia. He is the last of the Julias, and his task is to rid the world of the beasts of Rome. He saves her brother from a third lamia, and disappears. He reappears periodically throughout Julia’s life, killing monsters, and gradually revealing the story of his life, and becoming a part of hers. I will admit, the ending tugged at my heartstrings more than a little. The final story, “Last of the Romanpunks,” picks up with Clea’s grandson Sebastian, in an Ancient-Roman-themed bar on an airship–incidentally, owned by his ex-girlfriend, who is intent on bringing back the lamias Julius wiped out, and becoming one herself. Fortunately, Seb learned a few things from his grandma, and the Julias never truly die. Each story could stand on its own, but I loved the way they all connected, making a whole greater than the sum of its parts. I may not know a lot of Roman history, but I could feel the author’s love of the subject in every line. The monsters and monster-hunters may have been larger than life, but the ordinary people on the sidelines, Clea in particular, felt very real. Love and Romanpunk is smart, witty, surprising, and very much worth a read. 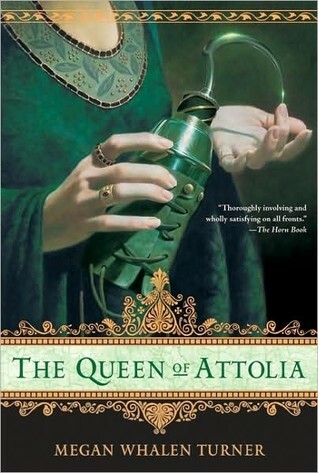 This is my third book review for the Women of Genre Fiction Reading Challenge at World Without End. When the 2012 Nebula Award nominees were announced, I was pleased to find I had read (and enjoyed) four out of six in the Best Novel category. The fifth has been on my reading list for a while. 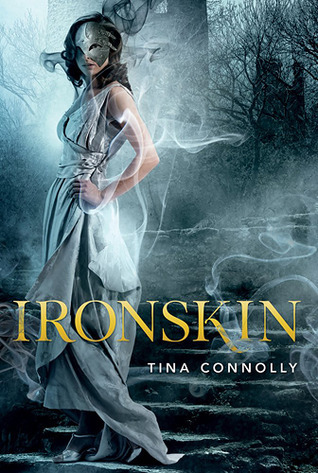 The sixth, the only one I’d never heard of, was Ironskin by Tina Connolly. I picked it up so quickly in part because of some idiot comments floating around the web about the genre becoming too girly, and it made me happy that books like this are starting to get serious recognition. Once I read the description, I was curious about what made this book so special that both it and Mary Robinette Kowal’s Glamour in Glass were included on the shortlist (both being alternate histories in the regency era). 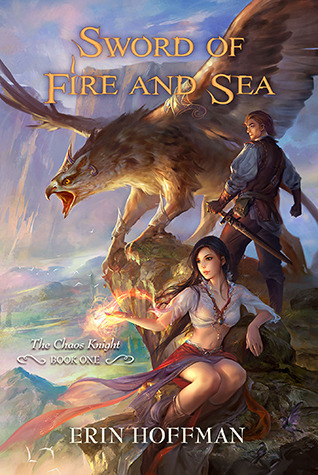 Ironskin is a retelling of Jane Eyre with fey. Unlike Glamour in Glass, where society is practically unchanged by the addition of magic, Connolly’s world is dramatically different. Society had become dependent on fey technology, powering everything from lights to motor cars with magical “bluepacks”—until the Great War. The story starts five years after the war’s end. The fey are gone, but the country is left devastated, and scrambling to make do with coal and steam. A generation of young men is slaughtered, and many unlucky survivors are left with fey curses that can only be suppressed by covering the scars with iron. Jane Eliot is one such ironskin, hiding her deformed face with an iron half-mask. I thought the language was lovely, and really captured the feeling of Jane Eyre. The societal consequences were well-thought out, and I loved the references to slightly altered titles and quotes from plays by “Shakspyr.” The fey were very traditional and satisfyingly malevolent in contrast with the recent abundance of urban fantasy reinterpretations. Jane’s interactions with the fey-touched child, Dorie, actually bothered me quite a lot through the first half of the book, but I think they were meant to. It was heartbreaking to watch all the life and spirit drain out of the girl as Jane and her father insisted she deny her fey gifts in favor of acting “human.” There were strong reasons for her doing so, but rather lightly touched upon, and I can’t help but wish that I could have been made to really believe in those reasons along with Jane. The other aspect of the story that bothered me was the easy resolution of Jane’s dislike of her scarred face by giving her a new, perfect fey face. It feels like a cop-out. I was disappointed in Jane for forcing Edward to make her a new face, and while I loved the horrifying way in which that backfired on her, I hate that she got to be magically beautiful anyway. It sends a conflicting message. On one hand, it tries to convince you that fey beauty is deadly and Jane’s scars mark her bravery, but the other hand snatches it all away in the ending with the impression that it can’t be a happy ending if she’s still ugly. Needless to say, that left a bad taste in my mouth. If you can overlook that distasteful theme, however, I found Ironskin to be very engaging overall, and the faery queen beats the insane wife in the attic, hands down. Worth a read for fans of the classic.